July | 2011 | It's About Bunnies! Pearson Moore is back with his second book, following the smash success of his first title “LOST Humanity”. 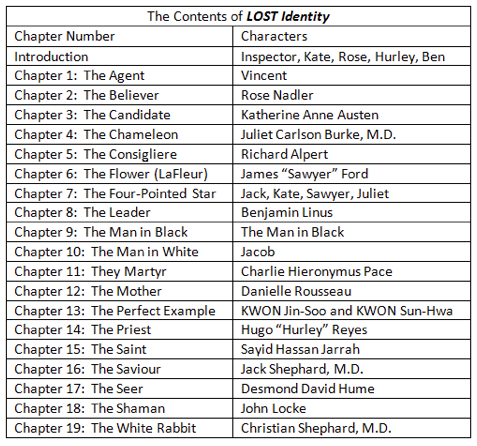 IF you’d like to know more about “LOST Identity,here are some of the details on Mr. Moore’s next volume. ￼ With 19 character illustrations by renowned LOST portrait artist, ArtGUS! The characters of LOST come alive as never before in LOST Identity, the second in a series of companion books by always-insightful Pearson Moore. You will see your favorite characters in a new light as Moore illuminates the fascinating connections and conflicts between the most important and beloved survivors of Oceanic Flight 815. What was Vincent’s secret role on the Island? Who was steadier in faith than John Locke? 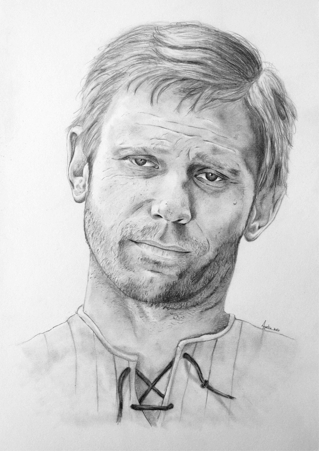 What was really behind the apparitions of Jack’s father, Christian Shephard? Which of the characters altered the course of the past and paved the way for Jack to become the Protector of the Island? These questions and hundreds of lively topics are addressed in the 320 engrossing pages (80,000 words) of LOST Identity. 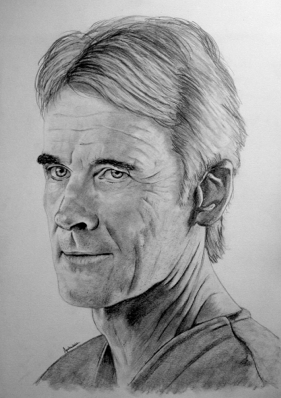 The book contains 18 ArtGUS original drawings, including 19 character portraits, five of which were commissioned especially for LOST Identity. The five new original works include beautiful interpretations of Rose Nadler, Danielle Rousseau, Jin Kwon, Sun Kwon, and Kate Austen. These new creations have never been seen before, and are not available for sale anywhere. They may be viewed only in the pages of LOST Identity. LOST Identity is really two books for the price of one. You receive 19 full-length essays by the most sought-after expert on the characters and mythology of LOST, as well as 19 character portraits by the most celebrated LOST portrait artist in the world. Moore has never shied away from controversy, but he backs up his challenging ideas with solid research. He is probably best known for his unorthodox theories on the significance of Christian Shephard, and he devotes an entire chapter once again to this most fascinating character. This time around, Moore pulls no punches, laying out in clear language exactly what was responsible for the on-island apparitions of Jack’s father. But the meticulously-researched chapter on Christian is just the beginning. Moore exposes Jacob’s “secret weapon”, and explains why Jacob’s deception was necessary to the final outcome on the lava cliffs. He looks closely at the complicated time loops and time travel chronologies and offers his ideas on how the past was changed, and time loops destroyed, so that Jack could finally rid the island of the Smoke Monster. Above all else, this is a book to be cherished for its reverent approach to the nineteen characters brought to life in its pages. Choosing both major and minor characters for this set of essays, Moore sheds new light on well-known characters, making them fresh and exciting once again, using the thoughtful prose style that has made Moore’s essays must-read material for every serious fan of LOST. LOST Identity is available in ebook format at Amazon.com. The cost is just $4.99. 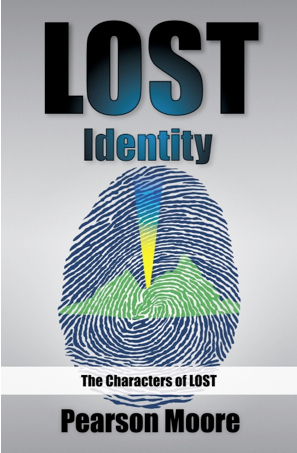 LOST Identity will be available in paperback format on July 14, 2011 for the low price of $9.95. It will be available at Amazon and directly through the publisher, CreateSpace. LOST Humanity, Moore’s book on the mythology and themes of LOST, is available at Amazon.com through the Independence Day weekend for just $2.99!